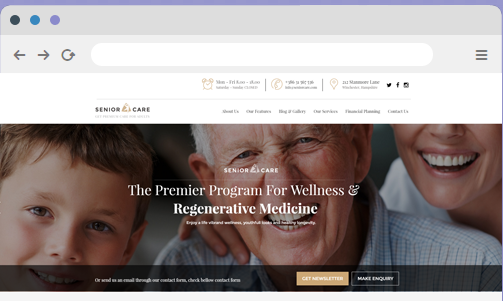 Using our themes you can easily create a modern website for any small business, entrepreneur or school. 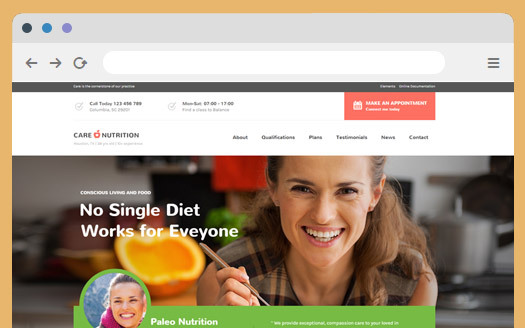 Easily edit the real content and compose the page layout with drag & drop page builder. Designed for elementary, high schools, universities and colleges…Using School Time you can easily create a modern school website and easily edit the real content and compose the page layout with drag & drop page builder. 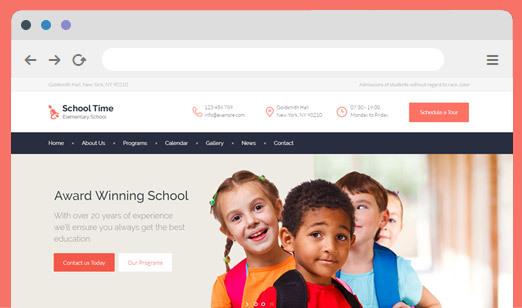 Carry Hill School is a beautifully designed WordPress Theme for your school, child care, but it would suit any children, art, craft or creative website. 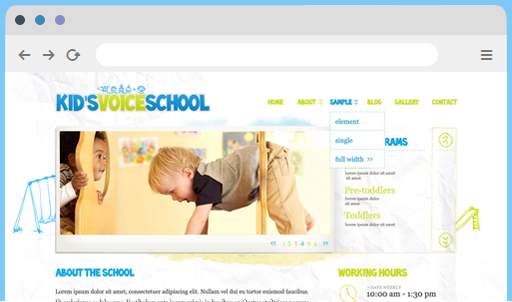 Kid’s Voice School is a beautifully designed WordPress Theme for your school, child care, but it would suit for any children, art, craft or creative website. If you have any regular questions or pre-sale questions contact us.